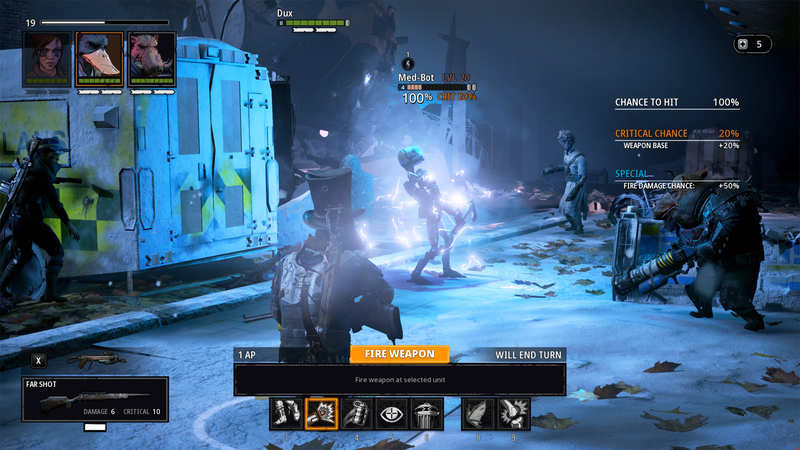 Mutant Year Zero: Road to Eden, a tactical adventure game that combines the turn-based combat of XCOM with a real-time stealth and exploration of a post-human world reclaimed by nature… and Mutants. 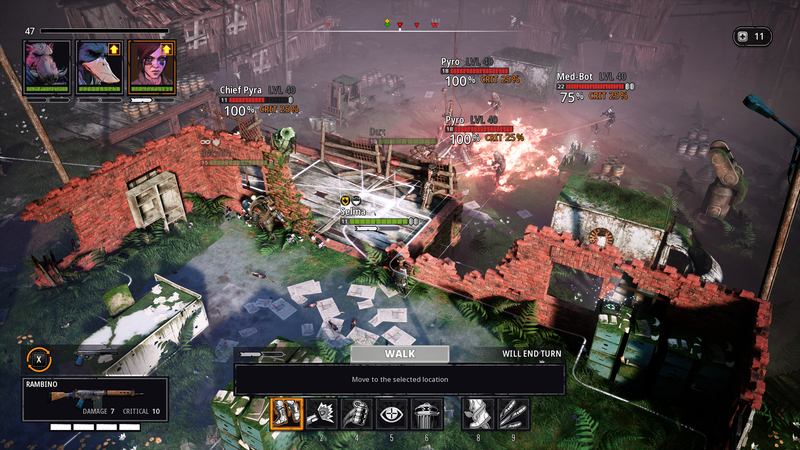 Mutant Year Zero: Road to Eden is based in the world of a very famous Swedish tabletop RPG. The core game celebrates its 30th anniversary this year. This franchise is apparently more popular than its American Dungeon and Dragons counterpart in its native country. This is probably due to being set in a familiar Scandinavian environment, albeit a ruined one. David Skarin (creative lead) decided after leaving IO Interactive (Hitman) to found a studio and design a turn-based RPG adventure based on this game lore. Initially, the game was going to be an open world game but the idea of a TBS (Turn Based Strategy game) set in a vast sprawling post-apocalyptic landscape was found to be too slow and laborious. By changing to a real-time stealth mode whilst not engaged in combat, opened up a new kind of playstyle. This allows the player to explore the environment and set up ambushes if they happen upon any rogue bad guys. You command a small motley troop of mutants. They are tasked with exploring “the zone”, scavenging for items that might be useful. Their base is known as “the ark”. This is the central hub and acts like a safe haven, where your characters can rest up and resupply in between missions into the badlands. This game has bags of appeal and individuality. Once I had viewed the unveil trailer back in March, I was instantly on board. Any game that has a wisecracking, gun-tooting duck as one of the lead characters has my attention. Mutants have always been a rich source of inspiration in popular culture from Wolverine to Strontium Dog, Year Zero is no exception. Mining the deep backstory of the board game gives the game a solid narrative foundation. 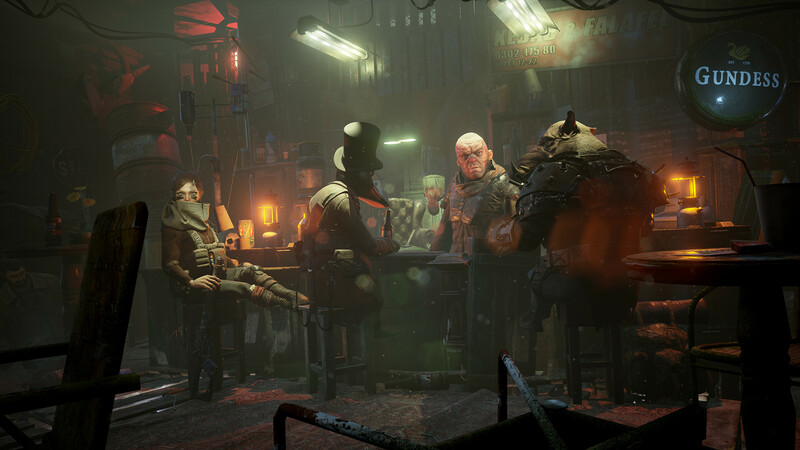 This is one aspect that sets MYZ(Mutant Year Zero) apart from the usual TBS crowd. Most X-Com-like strategy titles have an endless supply of normal soldier archetypes. snipers, grunts and support troops. Sure you can level them up and due to the time invested in their growth, you form an attachment of sorts. However, they still remain relatively blank canvases with little or no personality. This game goes against this convention by introducing you to fully formed characters, with all their quirks and skill sets. By limiting the main roster down to *five* leads, it doubles down on this premise, making you totally aware of their fragility when out in the wilds. You implicitly care for their well being far more than “Johnny heavy machine gunner #23”. Your initial party is an oddball collection of misfits. The aforementioned Dux is a bird with a bad attitude and crossbow. Bormin is a gruff wild boar replete with a shotgun, a perfect tank character if ever there was one. Selma completes the trio. She has a well-rounded skill set handy with both a pistol and rifle. Each mission starts in real time. This allows you to explore and roam the landscape. Even though the structure of the game is fairly linear, the maps have plenty of hidden paths and places to savage for loot and special items. During this downtime between skirmishes your team trade snarky comments and banter. These amusing exchanges breath life into the characters. Embellishing the narrative and immersing you into the lore of the Mutants. This phase of the game has echoes on the way I used to recon Far Cry rebel camps. By carefully skirting the perimeter of outpost you can assess the situation and plan your assault. Watching guard patrol patterns you can isolate certain troops without raising the alarm. This is a key strategy, given that you are always outnumbered and outgunned. By whittling down the enemy squads gives you a fighting chance once the ruckus kicks off for real. By now you are probably waiting for a deep dive description of all the mechanics and minutia of the game. I feel if I did this half the wonder of the game would be lost to players like me, new to the world of Mutant. 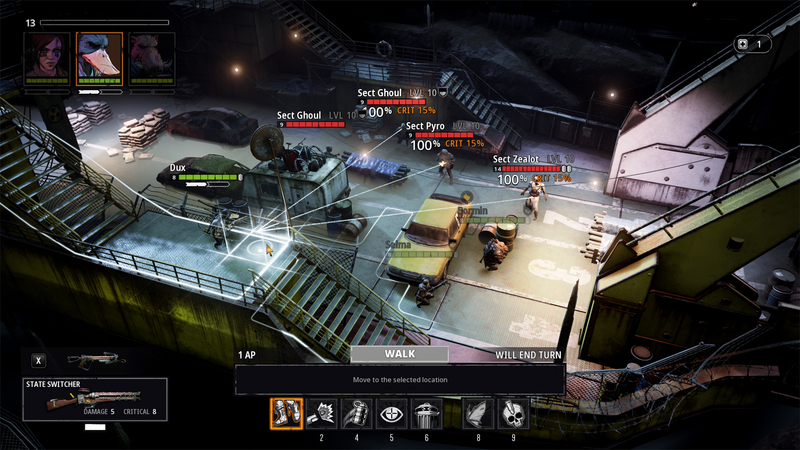 One of the title’s strong points is both the unique setting and how this unpacks into a strategy game. Discovering new wacky weapons and armour is part of the charm. Hearing your squad theories behind real-world artifacts is highly amusing. All these pieces combined make the game a joyous riot of lore building and beautifully crafted set designs. Given that the primary focus of the game is a narrative tail without much replay value it would be bad form to spotlight details beyond a general overview. This facet of any turn-based game is key. Getting the right balance between frustrating and challenging gameplay is a high wire act. Beyond the usual RNG aspects, minor wrinkles in skill trees and item stat perks can make the difference in an engaging and rewarding title. In my first few skirmishes, I learned the hard way not to go too Rambo. MYZ teaches you early doors not to go in guns blazing. It rewards patience and reconnaissance. The numbers are stacked in the enemies favour on every encounter. Real-time stealth mode is not just a casual fluff piece to pad the downtime in the game. It is a key part of the design. The ying-yang between the two modes is superbly executed once you get into the zone. Taking out straying patrols without alerting the whole force is hugely rewarding. I’ve been playing strategy titles since the ZX81 computer days, so I’d like to think I know my way around the genre and have built up a decent skill set. Careful planning, squad formations, and specializing individual troops have become second nature for me. In MYZ you have to re-educate yourself and unlearn key turn based fundamentals. This makes the game a tad brutal in the early missions. Once the penny drops and you acclimate your thinking to the way the game designers have constructed the set-piece battles, it becomes a much more engrossing and addictive experience. A couple of weapon upgrades and a more stealthy/guerrilla warfare approach has you on the road to victory. MYZ uses the Unreal 4 engine to realise a post-Armageddon Sweden. The initial areas heavily forested and littered with the remains of time before the apocalypse. Nature has taken over, moss and twisted vines cover road signs and ramshackle huts. Children’s play pits and slides are silent and decaying, echoing a poignant reminder of the end of days. There is some great environment storytelling on show. Modern consumer items we take for granted such as iPods, boom boxes and telescopes are scattered across the maps. To our band of Mutants, these are strange exotic artifacts to be scavenged for special perks. Given that most of the time you view the world in an isometric style some of the awesome modelling work has been lost to some extent. The aggressive anti-aliasing filter blurs the fine details. Only when you move into the first-person mode when targeting enemies do the visuals really pop. The real showcase for the artist hard work is in the mutations menu. Not only are the close-up character models fantastic but every equipped item is shown. Beyond just playing dress up, this adds a great deal of ownership to the way your team looks. Adding a top hat not only boosts stats but also looks great on Dux. Add a crash helmet and what looks like ice hockey armour onto Borman, makes him look twice as badass. 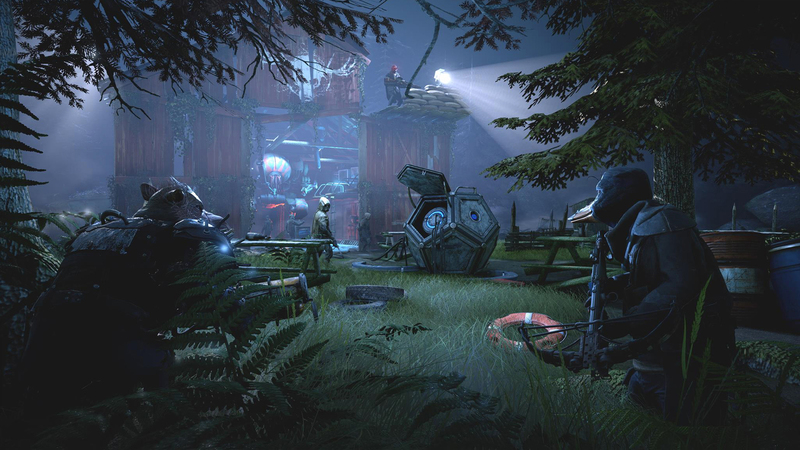 The game uses a lot of post FX and real-time lighting to bring life to the world. One of the key components is the use of the flashlight whilst surveying the maps. Its beam cuts through the volumetric fog realistically, car windscreen reflect and refract the light. This adds a cinematic touch, immersing the act of playing in the realm. Not only is this a nice artistic feature, but it is also a key gameplay element. Hard to find Items and scrap glisten when caught in the cone of rays. Cutscenes are portrayed in animated graphic novel style. I prefer this form of art to the usual bland in-engine or soulless CGI cinematic. The drawings are highly detailed and fit the lore perfectly. Whoever BLC employed to create these assets needs to be praised. They look like they have been lifted straight from a top tier comic such as the Watchmen or Judge Dredd. The line art and vibrant colouring are stellar. They add yet another layer of quality to the overall vibe of the game. Bearded Ladies has entrusted fellow Swede Robert Lundgren, a highly regarded film & TV composer to create the musical score and sound design. Robert has utilised the Elias audio system in order to produce an extremely versatile adaptive soundtrack. Using this funky bit of high tech kit. He has achieved a very dynamic sonic experience. The score reacts and morphs as the player traverses the game in explore mode. Musical pieces change seamlessly ever 30 seconds. Score intensity/complexity goes down in idle mode and doesn’t ramp up until another player input is registered. When you interact with an item, a timpani drum roll kicks in. Once in combat mode, a successful hit on a foe results in a horn motif being triggered. If a character goes down then they emit emergency room life support monitor beeps. All these audio cues are in keeping with the overall score instrumentation. I’ve not seen this level of interactive design since the legendary Rez. The whole concept and implementation are superb. The control scheme is excellently implemented. I played all of my review sessions with a 360 Pad. the button choice and layout is top notch. Navigating the gameworld and switching characters became second nature. Everything felt snappy and responsive. 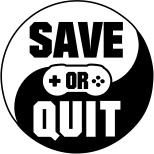 There is also a good quick save system in place. Given that you live from moment to moment in the world. After you execute a random ghoul or enemy the game autosaves. This takes the hassle of redoing huge swathes of gameplay if you make a wrong move( I’m looking at you Rockstar games ). There’s also ample manual save slots and sessions so you can try out characters with various mutations and load outs. It’s pretty obvious that this project is a labour of love from the good folk at BLC. The care and attention that they have for the original lore and world are evident in the translation to a video game. Sometimes the story is an afterthought or clumsily shoehorned into a title. Not the case here, both mediums are a perfect fit and complement each other superbly. The terrific lore of the tabletop makes the character believable and charming. Quirky humour abounds in notes and item descriptions that litter the game world. This brings to life what would be quite a sterile and doom-laden environment. The melding of the two disparate game systems is a stroke of genius. This enables exploration and world building through narrative elements whilst still injecting tension when you are scoping out skirmish tactics. By reducing the character roster and limiting health attributes makes player choices all the more impactful. Its an intoxicating cocktail of gaming goodness. The age of the narrative-driven Turn Based Strategy game is here. Pack your boomstick, you’d be qwackers to miss out. Trips into “The Zone” are fraught with danger, every wrong turn or footstep can lead to a full squad wipeout. In order to make your first escapades successful its imperative to pick the right approach to an encounter with the ghouls, animals, and robots. Luckily I have a few tips to navigate the early portion of the game with less stress. Once you have found “The Ark”, your home base. You can fast travel back to this safe haven at any time apart from when you are actively engaged in combat. This allows you to search maps with high-level mobs and collect valuable scrap and items. 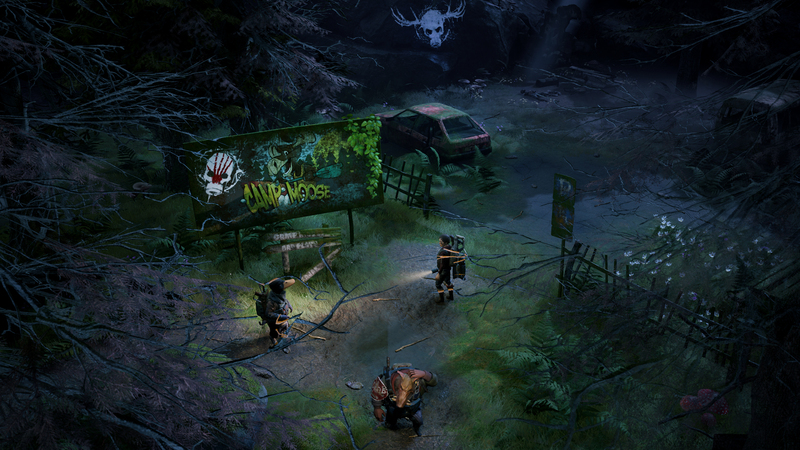 By navigating the perimeter of encampments you can avoid a full-on battle. Using this tactic you might chance on a special weapon cache, which will aid you on missions you may be finding a tad tough to complete. Upgrade your base weapons as soon as possible. Add attachments which boost range and critical hit damage. These will be vital and give you the leg up on wandering enemies. Also, make sure that all your squad are equipped with a silent weapon. Taking out foes without alarming the rest of his mates is a key winning strategy. When setting up an assault check out the hit and crit percentages are in your favour. Also, make sure that other troops are not in the zone to trigger a response if you don’t get a kill on your first turn. Remember you can always back out of a fight if it doesn’t feel right. Click the left stick in gamepad mode to disengage. Don’t bumrush the show.